On August 2, 2018, the U.S. 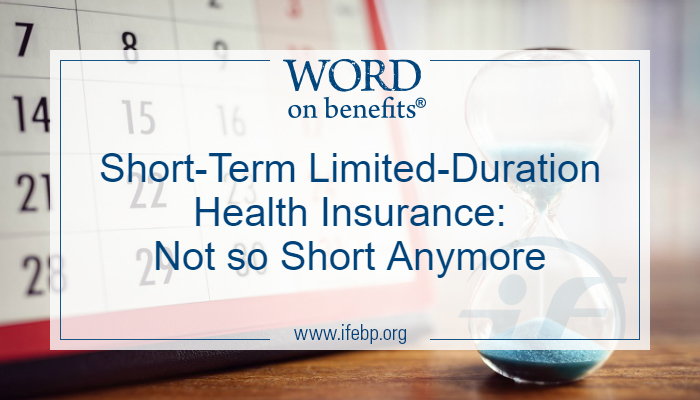 Departments of Treasury, Labor, and Health and Human Services released a final rule on short-term limited-duration (STLD) health insurance, effective October 2, 2018. In October 2017, President Trump directed federal agencies to develop three new rules related to health plans and coverage: one on association health plans (AHPs), one on individual STLD health insurance policies and one allowing more flexibility in employer-sponsored health reimbursement arrangements (HRAs). The final rule on AHPs was published in June (see more on that here). New HRA regulations have not yet been released. 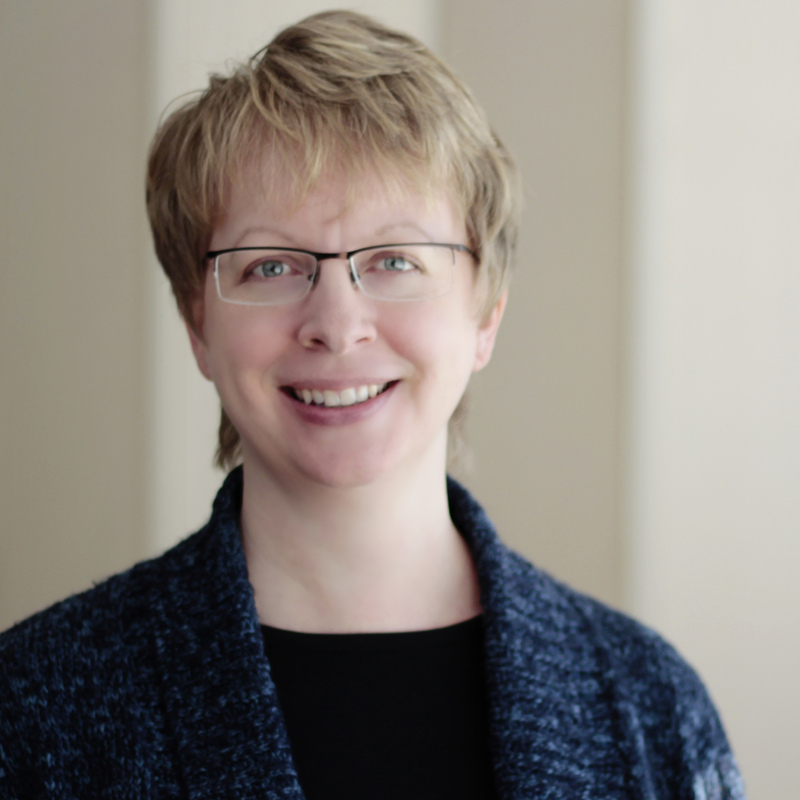 This blog discusses the new rule on STLD insurance and its possible consequences. What is STLD health insurance? STLD policies are typically “bare bones” or “skinny” health insurance products individuals sometimes purchase when other affordable health insurance is unavailable. STLD policies are less expensive than employer-sponsored COBRA coverage or individual policies sold on the ACA marketplace. However, they cover significantly fewer conditions and treatments and are often denied to people with preexisting medical conditions. What does the August 2 final rule do? Before the August 2 rule, insurers could write STLD coverage to be effective for a maximum of three months. The rule effectively extends the allowable maximum coverage period to three years. After October 1, 2018, insurance companies may offer short-term policies that last up to 364 days and then may renew the policies once or twice at their discretion. This increases the possible duration of STLD coverage to three years. Insurers are still free to sell policies for shorter periods of time than the maximum. What else does the new rule require? The new rule requires insurers to prominently display certain language in their application materials and contracts making it clear that the coverage is not comprehensive and would not meet the ACA requirement for minimum essential coverage. What about state insurance regulations? Short-term limited-duration health insurance is subject to state regulations. Insurance mandates in each state override federal regulations regarding maximum duration and other restrictions. Already, some states are banning or restricting SLTD policies. Legal challenges to the final rule are expected. Register Now: Certificate in Health and Welfare Plans | September 24-29, 2018, Washington, D.C.
What does short-term limited-duration health insurance cover—and what does it not? To find out what an STLD policy covers, read it carefully. Each one is different. STLD policies do not have to cover the ten ACA essential health benefits. Insurers can deny coverage or charge higher premiums to those with preexisting medical conditions or poor health, require individuals to contribute more money toward copays and coinsurance, and impose annual and lifetime limits on coverage. They may raise prices or reject applications of less healthy individuals at the time of renewal. According to a Kaiser Family Foundation analysis, only 29% of short-term limited-duration health insurers cover prescription drugs, 38% cover substance abuse treatment and 57% cover mental health benefits. None cover maternity care. The Kaiser analysis also shows typical STLD premiums, cost sharing and coverage limits. This type of coverage does not meet a number of ACA mandates and consumer protections. It does not satisfy the current ACA requirement for individuals to obtain minimum essential coverage or pay penalties. However, individuals without minimum essential coverage on or after January 1, 2019 will not owe penalties. Without the threat of ACA penalties, STLD insurance could be attractive to healthy individuals willing to accept less coverage for lower premiums. What could happen in light of the new rule? If enough healthy individuals purchase STLD coverage instead of ACA marketplace insurance, premiums on the ACA marketplace could rise due to a smaller risk pool containing a larger proportion of unhealthy individuals. Individuals who buy STLD coverage may realize too late that certain things are not covered, running up unexpected medical bills as a result. They also might decide to forgo beneficial treatment due to cost. How will this rule affect the employer-sponsored health plan landscape? It might not directly affect large employer-sponsored health plans—Large employers are still required by ACA to offer affordable health coverage of a minimum value to full-time employees or face penalties. STLD policies do not typically provide the minimum value coverage required. Employers often provide robust health benefits to help recruit and retain employees. That said, the availability of extended short-term limited-duration health insurance and the absence of individual ACA penalties could influence how some employers design their health plans and whether employees choose to opt out of employer-sponsored health benefits. In addition, employees and family members eligible for COBRA coverage might purchase an STLD policy instead of employer-sponsored COBRA coverage. Federal regulations on health insurance continue to change. The new rules on AHPs and STLDs, an upcoming rule on HRAs and the death of individual mandate penalties are loosening restrictions on the types of health insurance employers can offer and individuals can carry. The most recent rule on STLDs allows insurers to sell, and individuals to purchase, longer duration health insurance with lower premiums and significantly less coverage than ACA-compliant health insurance. Many individual states, however, are banning or strictly regulating STLD policies sold in their states. It would be interesting to know which states are banning or strictly limiting the short term insurance. It can come 8n many colors, of course, and might look a lot like ACA, but without some of the more controversial requirements..such as maternity benefits to the elderly, birth control, etc. I doubt that the deductibles and co-insurance will be less than the more expensive ACA plans, but they are already very high in the less expensive (affordable) ACA plans. I love these short-term plans. My family of six is healthy overall, we eat well, exercise, and we only need catastrophic insurance if something goes severely wrong. My choice was basically pay $1,700 per month for a bare-bones Obamacare plan (really? more than my mortgage? )…or pay $550 for three months for the short term plan we have. Really, it’s a no-brainer for us.